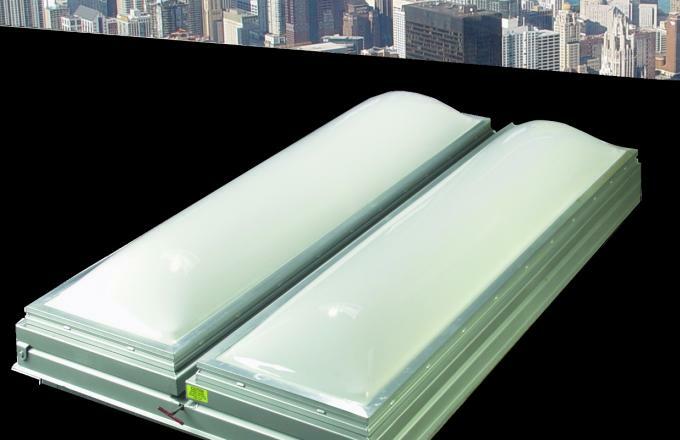 We have expanded the sizes of solid door and domed roof smoke vents. With the addition of 8 new models of UL-Listed smoke vents, we can help you meet the specifications for your next project. All smoke vents are tested and approved by UL and equipped with a 165º fusible link for automatic operation. Torsion spring drives open the covers automatically and shock absorbers control the speed of the leaves as they open.